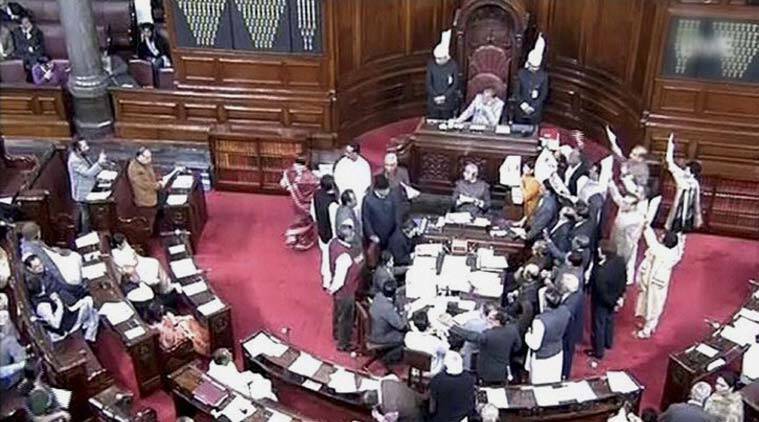 Rajya Sabha has failed in its role as a delaying chamber for unwise legislation. For most of the just-concluded winter session and several sessions before that, and also during the debate on the Constitution, the Rajya Sabha has fended off some strident criticism from the government — led by, for the most part, Finance Minister Arun Jaitley, himself a member and the leader of the Upper House — about the legitimacy of the “unelected” Rajya Sabha stalling bills passed by the directly elected Lok Sabha. The Elders’ defence has ranged from citing federal concerns that have to be taken into account by the Council of States to recalling how the Constitution was drawn up by a similarly indirectly elected House, the Constituent Assembly, and that it is the duty and mandate of the House of Elders to be the voice of reason, experience and sanity. In rushing the Juvenile Justice (Care and Protection of Children) Bill, 2015 (JJ bill) through on Tuesday, sidestepping the original demand of at least a section of the House that the bill required further consideration and should be referred to a select committee — the Congress and the Trinamool Congress that had submitted notices earlier this month to this effect refused to move them — the House reinforced the noise deliberately created by the government and echoed by the faithful on social media that the Upper House is redundant. In capitulating to the sentiments of the thousands assembled at India Gate, and the family of the victim of the Delhi gangrape of December 2012, the House failed in its role as the chamber that has the power to delay legislation. Whether Parliament should be bicameral or not was debated at length in the Constituent Assembly, where some members had felt that the Upper House acted as a “clog in the wheel of progress” and should not be continued with. Replying to the debate, N. Gopalaswami Ayyangar said: “The need for a second chamber has been felt practically all over the world wherever there are federations of any importance. After all, the question for us to consider is whether it performs any useful function. The most that we expect the second chamber to do is perhaps to hold dignified debates on important issues and to delay legislation which might be the outcome of passions of the moment until the passions have subsided and calm consideration could be bestowed on the measures which will be before the legislature; and we shall take care to provide in the Constitution that whenever on any important matter, particularly matters relating to finance, there is conflict between the House of the People and the Council of States, it is the view of the House of the People that shall prevail.” The motion to have the second chamber was adopted by the Constituent Assembly on July 28, 1947. On Tuesday, when the Upper House debated the JJ bill, in circumstances that fit Ayyangar’s definition of a moment of passion — with the parents of Jyoti Singh watching from the galleries — it was a picture-perfect political shot. A moment that is difficult to describe as anything other than a moment of passion. Member after member and party after party in the Upper House fell prey to that moment — only the CPM staged a walkout in protest. It is significant that the Upper House wasn’t always convinced about the JJ bill and just about two weeks ago, parties, including the Trinamool Congress, Congress, JD(U) and Samajwadi Party, had written to the chairman, Vice President Hamid Ansari, that the JJ bill should be referred to a select committee. Nothing has changed in these two weeks for the usually reluctant-to-legislate Rajya Sabha to take up the same bill on priority. Nothing, except the lynchmob at India Gate and shrill demands on media and social media for a law that cannot be applied to the man who gave it a new lease of life but can jeopardise the futures of many children. Political considerations have taken a toll on the erudition that Ayyangar had envisaged for the Upper House. The government has more reasons to smile than the passage of just this one legislation.